The Galaxy S6 and S6 edge were announced on March 1st but released shortly before mid-April, but a new rumor says that the Galaxy S7 could be released as early as February (early), following a January announcement. A specific reason for such an early announcement and release date haven’t been given, but Samsung could presumably follow this early launch (as it did with the Galaxy Note5’s August announcement instead of the usual September one at IFA) to get out ahead of its competition with a new smartphone that’ll allow consumers to purchase right away instead of killing the hype with a long waiting period. Immediate access goes a long way toward boosting sales. The Galaxy S7 is being developed under the codename Project Lucky, and is said to feature Qualcomm’s new quad-core Snapdragon 820 processor, with two models: one featuring the Qualcomm quad-core Snapdragon 820 processor, the other the octa-core Exynos. The Galaxy S7 could also have two different screen sizes and a dual-camera setup. One Galaxy S7 prototype featured 4GB of RAM while another featured 3GB of RAM, suggesting that Samsung will bring out at least two models, similar to the Galaxy S6 and S6 edge. Of course, we don’t know whether Samsung will stick with all four models of the Galaxy S line or condense them into two flagships next year. 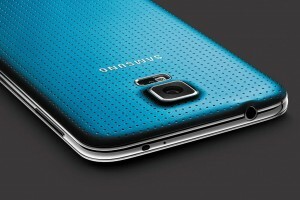 The Galaxy S6 edge is considered to be 2015’s Samsung Galaxy S flagship, with many seeing the plain Galaxy S6 as more of a nod to traditional buyers than anything else. Whether or not this rumor is true for now, it shows that Samsung plans to make the best of the time it’s given. 2016 looks to be as fine a year as ever, and, as Samsung knows all too well, time waits for no one.